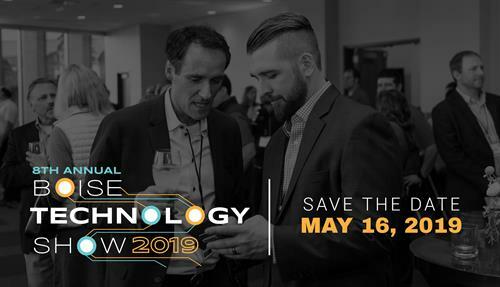 Save the Date for the 8th Annual Boise Technology Show! Meet and hear from some of Idaho’s most influential and innovative business leaders, as they address the most relevant issues facing companies today! With over 20 seminars, 25+ technology demonstrations, and plenty of opportunities to get your questions answered, this show draws professionals from all types of organizations: CEO’s, CFO’s, COO's, IT Engineers, Marketing Managers, Of?ce Administrators, HR Managers, and more!